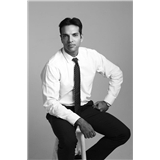 Dr. Sudhir Gadh, PLLC (New York) - Book Appointment Online! My aim is to provide clients with an engaging and enlightening experience as their doctor. Sessions include a discussion in all of the spheres of mental health (biologic, psychologic, social and spiritual) that could benefit you. I can be reached in between via text, phone or email. Finally, my approach in treatment is collaborative and individually tailored but not without challenging the client. The fee for an initial consultation is $500 and follow up session fees are $350. Over 10 years of experience in the public (Bellevue, the US Navy) and private sector allows me to serve you efficiently and effectively.